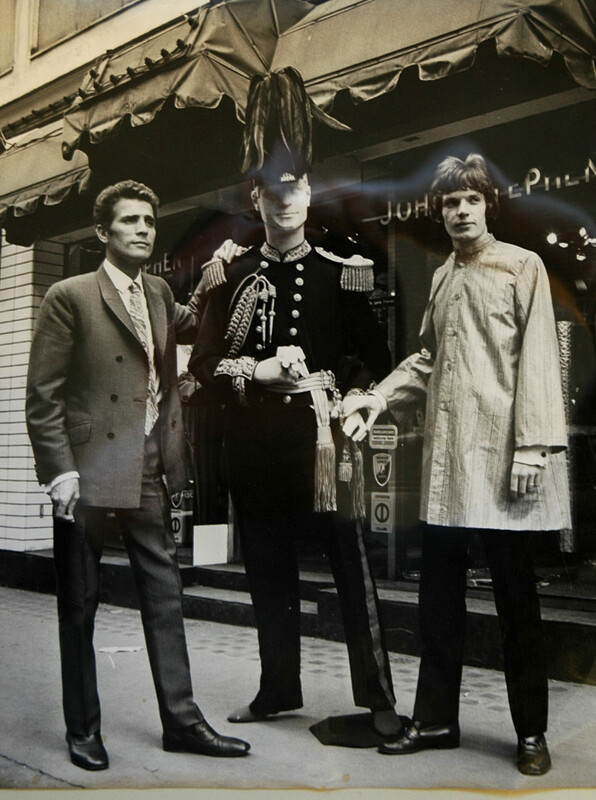 In ‘Peacock Revolution’ I uncovered an alternate history of Carnaby Street and its 1960s menswear revolution that transformed this backwater street in West Soho into an international centre for men’s fashions. In the late 1950s, Carnaby Street designer and retailer John Stephen began a systematic program to decouple himself, the products he sold, and the very notion of male fashionability from associations of effeminacy and homosexuality. Of course this project was never complete, but nor did it need to be. Carnaby Street shops, beginning with those of John Stephen, traded on a sense of playful camp that distinguished them from what were seen as old-fashioned or short-back-and-sides fashion establishments and worldviews. This article examines how producers and retailers of queer styles interacted with 1950s and 1960s consumers, and how these consumer interactions illuminate the changing relationship between homosexuality and hetero-normative constructions of masculinity in mid twentieth-century Britain. ‘Peacock Revolution’ was published in Socialist History 36 (2010): 55-68, a special issue on Gender and Sexuality, and is available for download as a PDF file.